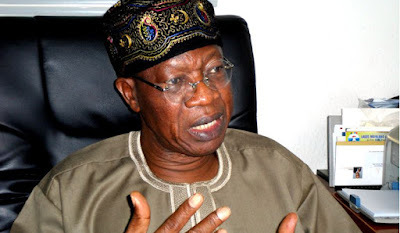 Welcome to Mercy Ebute's Blog: Lai Mohammed assures fuel scarcity will be over in days, never to occur again. Lai Mohammed assures fuel scarcity will be over in days, never to occur again. The Minister of Information and Culture, Alhaji Lai Mohammed, has assured Nigerians that the current fuel scarcity in the country will be over in a few days, following the approval of the subsidy payment by the National Assembly. ”We can confidently announce here today that the scarcity will end in a few days. Subsidy payment till the end of the year has been approved by the National Assembly. As you know we can’t spend money without approval,” the Minister said during a visit to the headquarters of the Daily Trust newspaper in Abuja on Wednesday.He explained that the 521 billion Naira that has been approved by the National Assembly, as part of the passed supplementary budget of 574.4 billion Naira, would be enough to cover the fuel subsidy till the end of the year.